1.Eash pc packed bubble bag. 2. Put it into inner carton. 3.Fill the gap with soft things. Sample Time In general, 3-7days. Payment Terms 40% T/T, Western Union in advance, the balance will be paid before shipping. 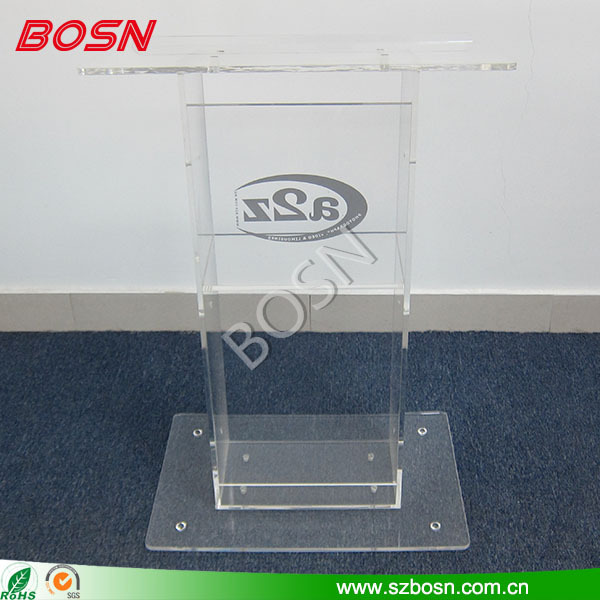 Main Product: Acrylic Lectern,Acrylic Menu Holder & Sign Holder,Acrylic Photo Frame,Acrylic Displays,Acrylic Boxes, Acrylic Furniture. Top Surface Width x Depth26.6" x 15.0"
Overall Width x Height x Depth 26.8" x 48.0" x 15.3"
Base Width x Height x Depth 26.8" x 0.8" x 14.8"
All dimensions are based on the largest outside measurement of the product. The dimensions are measured in inches to the nearest quarter inch. 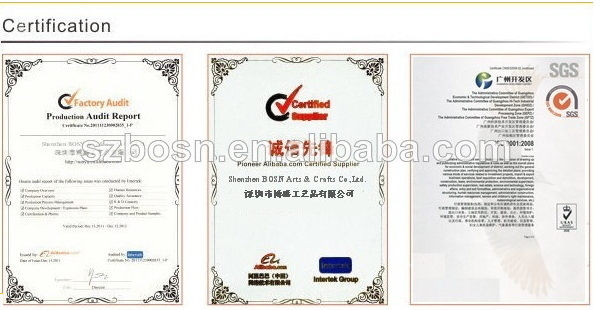 1.Company Name: Shenzhen BOSN Art & Crafts Co.,Ltd. (3)We have Six major department:Sales Department, Production Department, Quality Department,After Sales Service, R&D, Purchasing Department. 4.Main Markets: North America,Western Eurpoe,South America, South Asia, Domestic Market,Eastern Asia etc. (1)We have four production line. (2)For improving our production efficiency,we plan to introduce a automation productuion line,for example,the industry robot. (3)OEM and ODM are avaliable. 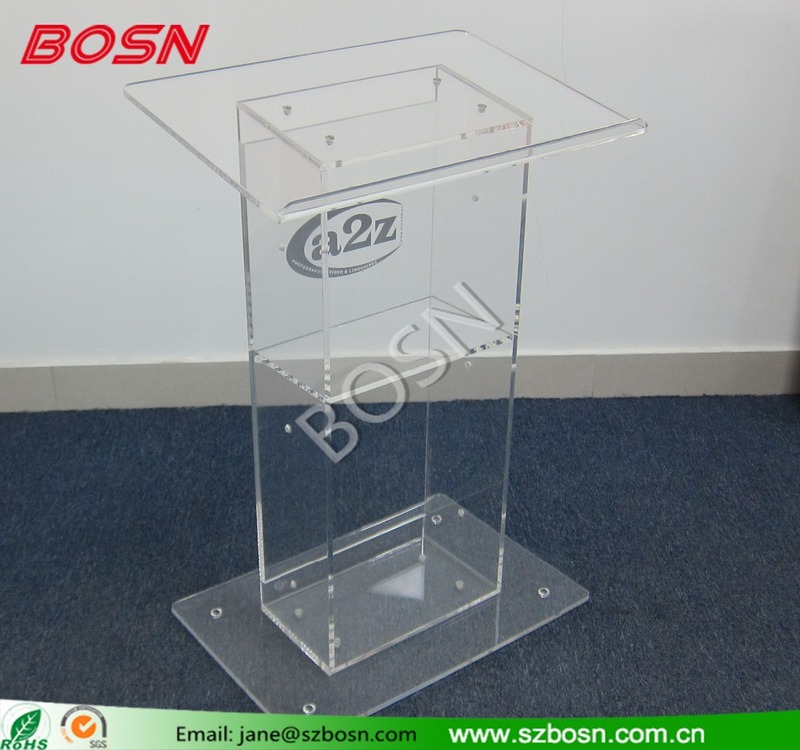 6.Main Product: Acrylic Lectern, Acrylic Photo&Picture Frame, Acrylic Furniture,Acrylic Sign&Block Holders,Acrylic Display, Acrylic Paperwight, Acrylic Box etc. 7. We have nine years of product experience, and creat the biggest benifit for you is always our purpose, so choose us will give you a different feelings. 1. For the stock product,we will send out in 3-7 days,because professional packing and export formlities was needed. 2. 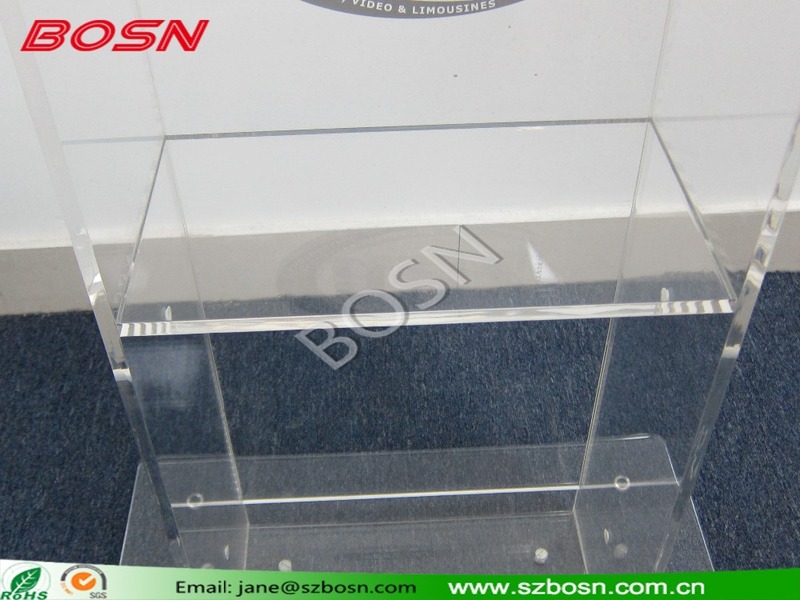 For the customized product,we will send out in 20-25 days, and the accurate time as the contract we have made. Packing: 1.Eash pc packed bubble bag. 4.Put the inner carton into the master carton. 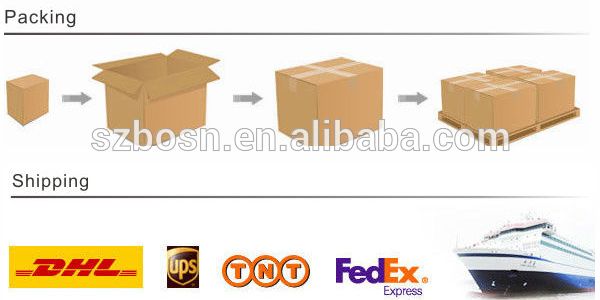 Shipping: 1.Only four reliable Express Comapny to be choosed,which are Fedex,UPS,DHL,TNT. 2.Customer specified express was accepted. 3.In general,3-7 days delivery,and all tracking status can be tracked on the official website. 1.Q:How and when can I get the quotation? 2.Q:How about your price and do you accept small order? A:We have the factory price,good quality,prompt deliver and we accept small order. 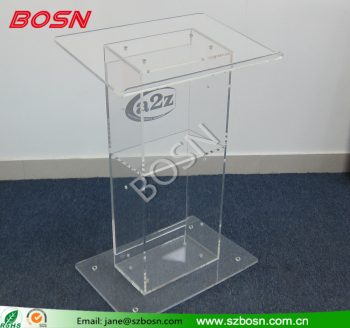 3.Q:How about the quality of the acrylic product? A:We have passed the SGS and every piece of our product will be checked by our QC Dept. 4.Q:How can I get a sample ? A:After payment,you can get the samples and check our quality. On the other hand,we will return the sample charge if you have bulk orders. 5.Q:How long can I expect to get the sample? A:In general,3-5 working days for samples. 6.Q:What about the lead time for mass production? A:15-45 working days for mass production.It depends on your quantity,and we will try our best to meet your needs. 7.Q:What is your terms of delivery? 8.Q:Do you support OEM&ODM and print our logo? A:We are support OEM&ODM and print your personalized logo. What are you waiting for? For more information, send a inquiry to us!